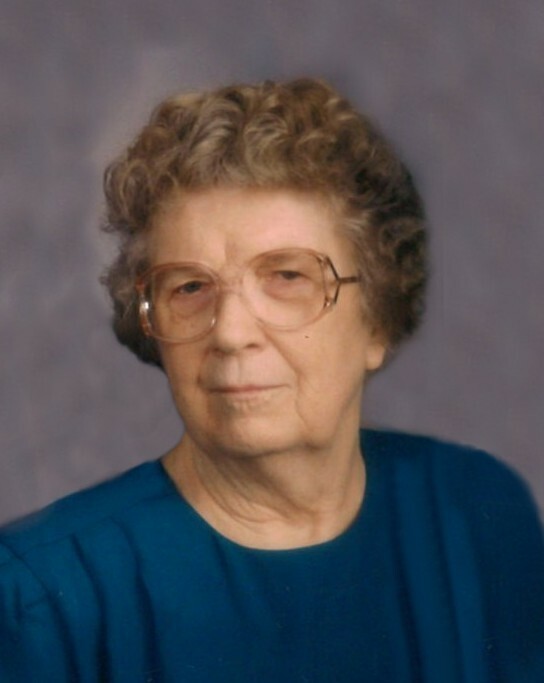 Joyce Aline Ramey, 96, of Greeley passed away October 15, 2018 at Centennial Healthcare Center. 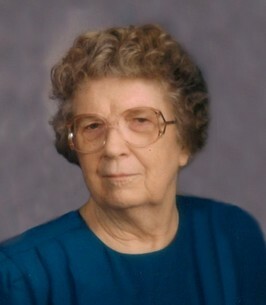 She was born December 17, 1921 in Elizabeth, CO to Clarence and Grayce (Sager) Konkel. In 1930 the family moved to Kiowa, CO where many childhood memories were made. She graduated from Kiowa High School in 1940 and from Success Business College in 1941. Joyce worked for Joslins and later at Montaldo’s as a bookkeeper in the Broadmoor Hotel in Colorado Springs, CO.
Joyce met RG Ramey in 1938. They were married February 8, 1944 at her country home while RG was home on furlough from the United States Army. They lived in Texas, Louisiana, Wyoming and Missouri until RG’s discharge when they moved to a farm near Bird City, KS where their son, Lavoy was born. In 1958 they moved to a farm near Franktown, CO and then in 1977 when RG retired from farming they moved to Castle Rock, CO. Her enjoyment of music began at the age of seven when she start piano lessons. She continued her music study at the University Extension Conservatory and the Sherwood Music School in Chicago. In 1956 she began a 44 year career of teaching piano. In 1965 she became an Affiliated Teacher of the Sherwood Music School offering their music course to her pupils. For thirty three years Joyce entered pupils in the Guild Auditions and gave sixty one Recitals. In 1991 she retired from teaching. Joyce enjoyed crocheting afghans and other items, winning ribbons at the fair. She liked putting together scrapbooks of family, friends, events, music and a memoir of her life. She appreciated poetry, verses and writings which she collected through the years. Joyce wrote many poems, some published in poetry books. She was known for her Divinity and Crescent rolls. Her family and friends were most important to her. Her unwavering faith in God kept her all the days of her life…in youth and old age. The family would like to thank Susana Gomez, her personal care giver. Joyce is survived by her son, Lavoy Ramey of Greeley; and brother, Ronald Konkel of Centennial, Colorado. She was preceded in death by her husband, RG Ramey; parents; and sister, Helen Konkel. Visitation will be at 1 p.m. Monday, October 22, 2018 followed by Celebration of Life Service at 2 p.m., both at Adamson. Interment will be in Colby, KS.